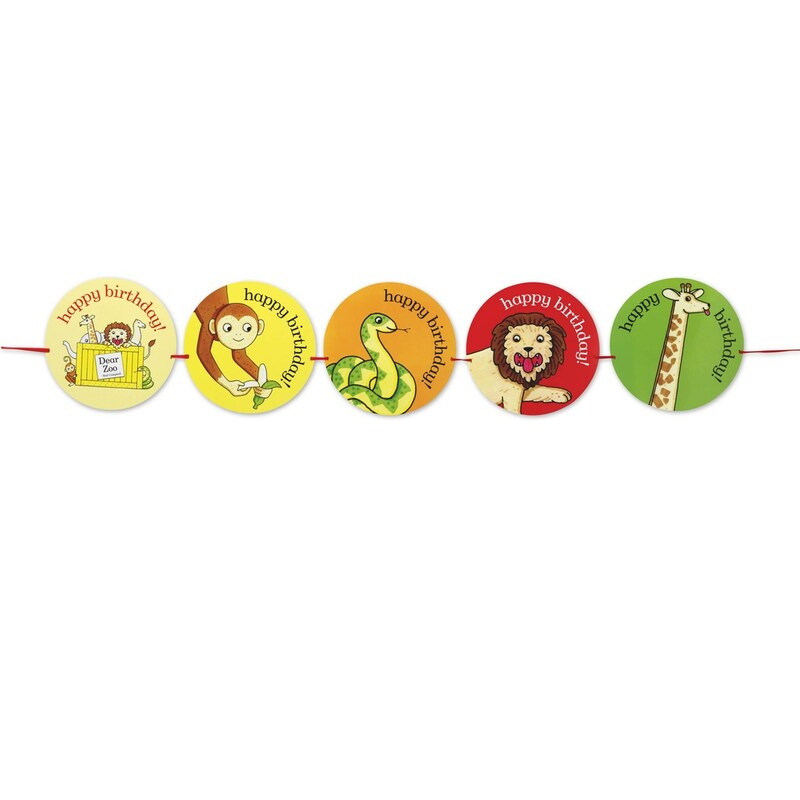 Vibrant Happy Birthday Bunting features all of the adorable characters from the bestselling children’s book 'Dear Zoo'. The bunting coordinates beautifully with the 'Dear Zoo' tableware and offers a perfect solution to your party decoration needs. The circular pendants feature the beautiful illustrations with ‘Happy Birthday’ text and at 2.5m in length there is a generous quantity of bunting to decorate your party venue. Each pack contains 11 Pendants, 2.5mtrs.